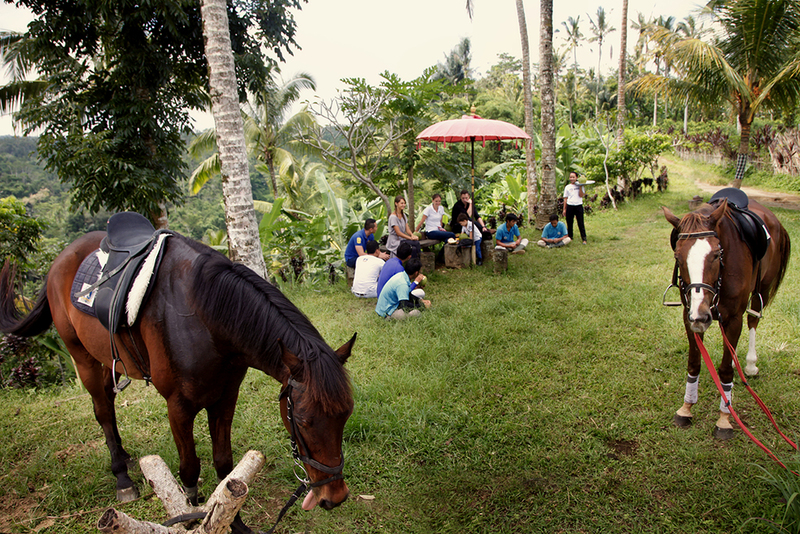 Established in 2015, Ubud Horse Stables is located in the traditional village of Desa Pupuan, Tegalalang, a scenic 30-minutes drive from Ubud, Bali’s cultural center. When welcomed by villagers into their home – an authentic example of traditional Balinese architecture – you will experience a sense of warmth and intimacy. 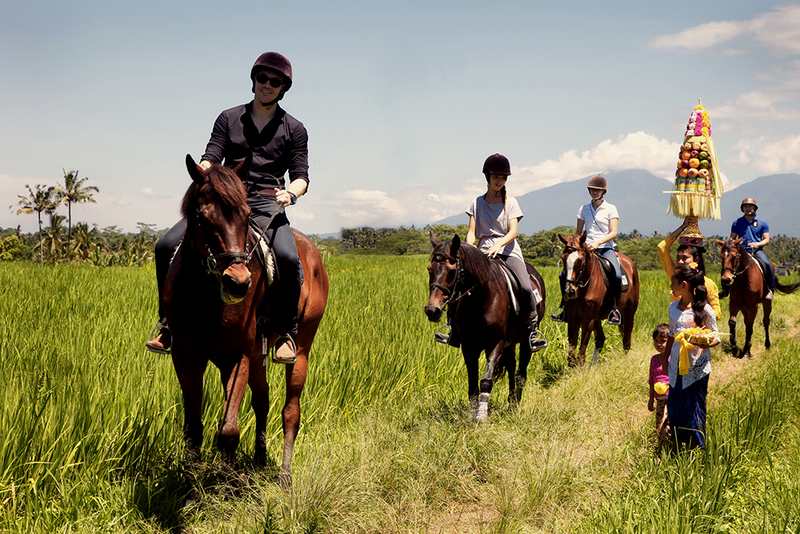 In addition to this cultural immersion, Ubud Horse Stables offers a unique experience for beginner and experienced riders alike the promise of discovering the lush and expansive rice fields of Tegalalang. The easiest and simplest tour suits those who will enjoy their first ride on horseback. Beginner riders can proceed at a slow and gentle pace, setting out from behind a typical Balinese village compound , on a ride that passes through tropical forest, rivers, scenic rice paddies on the way back to the village. – Inclusion : Shuttle car for Ubud area (min. 2pax), mineral water, helmet, insurance. For more experienced riders, enjoy the scenic views while you trot and canter up and down hillsides. You will be guided out of a Balinese village compound onto roads and tracks that lead you through a bamboo forest and along rice paddies. On your way to Tegalalang Cultural Village, stop for a rest in an orange plantation to enjoy the panoramic views while you ride up and down hills, through fields of orange trees, coffee and coconut plantations. Your return to the stables marks the end of the tour. – Inclusion : Shuttle car for Ubud area (min.2pax), mineral water, helmet, insurance. 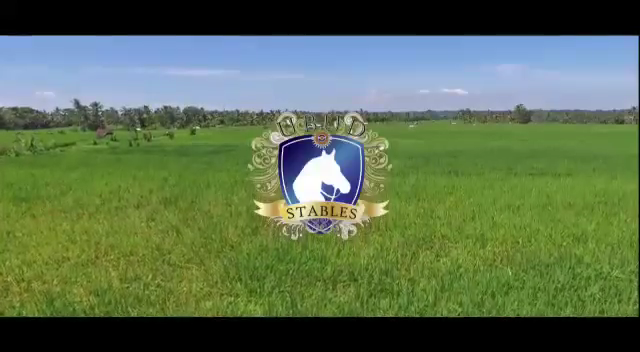 A spectacular experience awaits the advanced rider who can expertly handle a horse very well, while trotting and cantering up and down hills. Starting out from the stables, set behind a Balinese compound, the tour leads to Tegalalang Cultural Village, through abundant rice fields, a bridge, rivers, and the traditional village of Sebatu., Stop to enjoy a light meal at Waroeng Sebatoe while you gaze out at a panoramic view. Then, continue your ride through Sebatu rice fields, orange fields, coffee and coconut plantations until you return to the stables. – Inclusion : Shuttle car for Ubud area, mineral water, helmet, insurance, lunch. 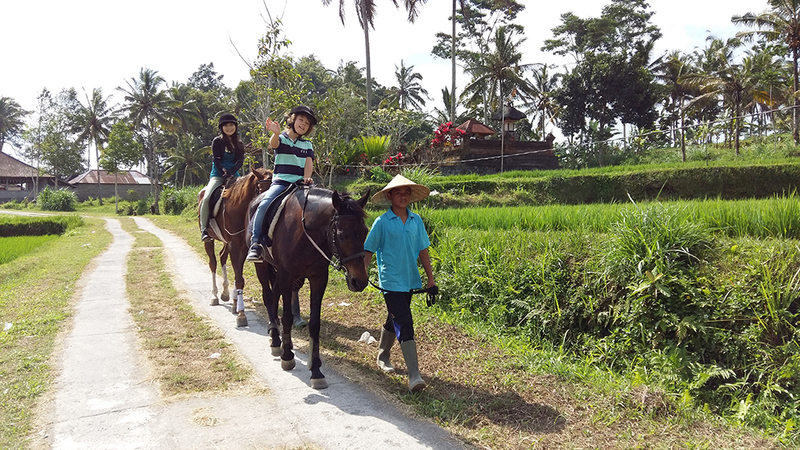 A combination tour suitable for novice to advance riders to ride a horse in a verdant rice fields all the way to coffee plantation and continue walking down hills to a virgin, exotic non-touristic waterfall. Get wet and do not forget to bring your changing clothes and waterproof camera. Keep some energy to walk up hills and back to stables on a horse to enjoy your lunch. – Inclusion : Shuttle car (min.2pax), mineral water, helmet, insurance, lunch.